KingSett, which previously owned the other 50 per cent stake, will own 100 per cent of Scotia Plaza when the transaction closes. Dream says the KingSett portion of the disposition has as aggregate gross price of approximately $1.4 billion. It has separate agreements to sell $300 million in other assets to different purchasers. The trust also announced it will commence a $440 million substantial issuer bid, and a reduction in the trust’s distribution from $1.50 per unit to $1.00 per unit, on an annualized basis, which will take effect with the July 2017 distribution. Dream says its strategic plan, announced in February 2016, is to sell assets and focus its efforts on increasing the quality of its portfolio and net asset value. “Today’s announcement of the acceleration of the strategic plan will also expedite our planning for intensification and redevelopment of some of our assets,” said Michael Cooper, chairman of Dream Office REIT in a release announcing the moves. “With the transformation of our business substantially complete, we believe we can produce free cash flow from our portfolio at a higher rate than our existing portfolio, with a debt level which is lower and with significantly less capital requirements. 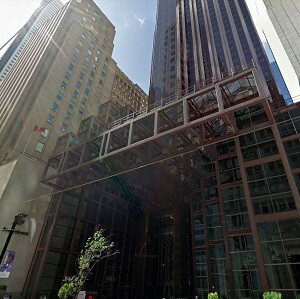 The sale of Scotia Plaza in Toronto also includes 100 Yonge St. Dream said the sale price is $750 million, of which it expects to receive net proceeds of approximately $423 million before costs and adjustments. The transaction is expected to close in the third quarter of 2017. “Since the announcement of our Scotia Plaza revitalization plan in 2014, we have achieved success on our leasing program while shepherding the asset through significant capital initiatives such as the lobby upgrade, LEED lighting retrofit and elevator modernization,” said Jane Gavan, Dream Office REIT’s CEO. “We feel now is the opportune time for us to sell our interest in a much improved Scotia Plaza at a profit and move on to concentrate our efforts on other assets where we can use our expertise to increase value. Prior to Thursday announcement, Dream had already completed the sales of $1.5 billion in other assets under the strategic plan. The trust says the $3.2 billion in dispositions reduce its portfolio from $6.1 billion to $2.9 billion. Of its remaining properties, Dream says approximately $2.4 billion are core assets. These include $1.5 billion in downtown Toronto, $200 million in Mississauga and North York, $300 million in Calgary, and $350 million in Montreal and Ottawa. Dream says it believes the downtown Toronto properties have the most opportunity for redevelopment or intensification. The acceleration of the plan was prompted by what Dream calls a strong real estate investment market. It also says pricing of the dispositions has met or exceeded its expectations. Provided all of the sales are completed, Dream’s remaining portfolio will comprise 49 “high-quality assets’” down from the 166 properties it owned 18 months ago.